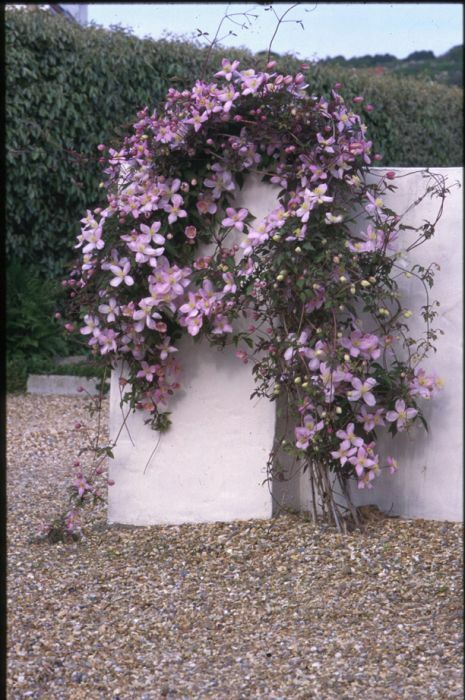 'Elizabeth' is a vigorous very large deciduous climber with bronze young trifoliate leaves, mid green with age. 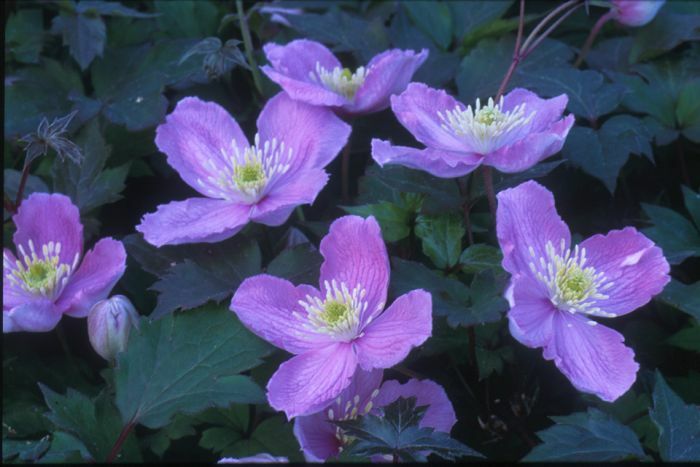 Slightly scented pale pink flowers with a satin sheen to 6cm in width have pale yellow stamens. Flowers late spring to early summer with occasional later flowers. C. montana var. grandiflora is a very vigorous large deciduous climber with trifoliate leaves. 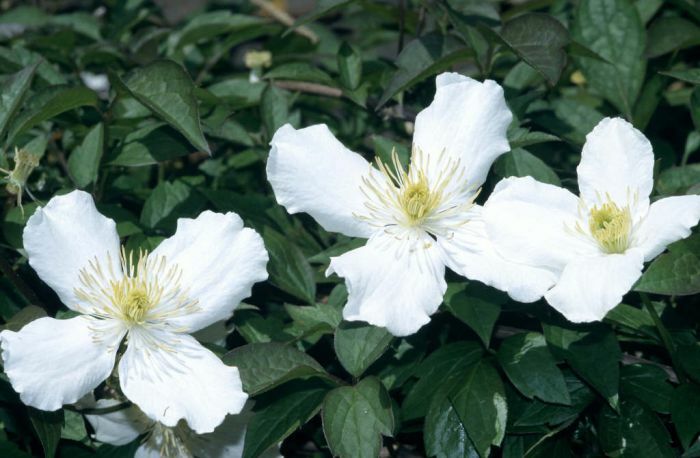 Single pure white flowers to 7cm across from late spring to early summer with occasional later flowers. 'Broughton Star' is a moderately vigorous, very large, deciduous climber with bronze-tinted young leaves turning dark green when mature. Double and semi-double deep pink flowers with prominent deep pink veining, to 6cm wide from late spring to early summer.